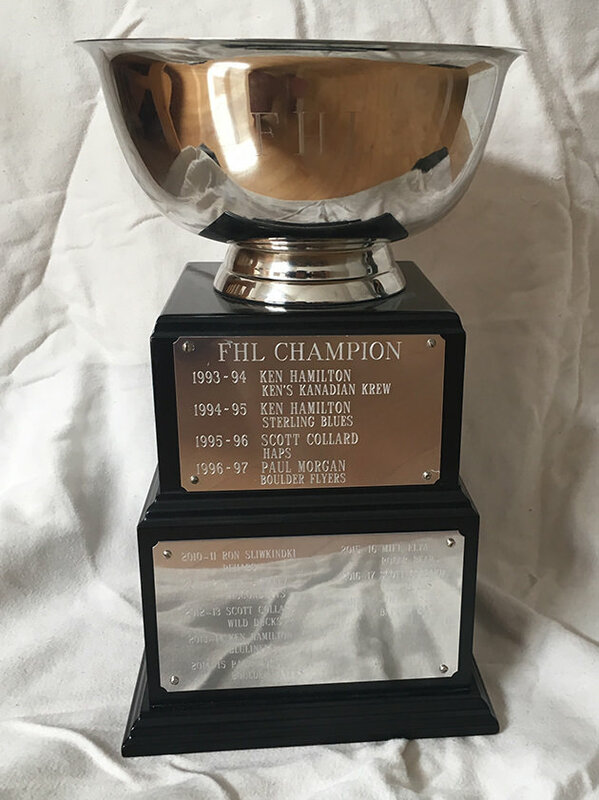 The FHL Cup is awarded annually to the FHL champion at the conclusion of the regular season. Since 1993, the FHL Cup has been won by ten different GM's. Scott Collard has guided his team to the greatest number of victories, hoisting the Cup a record nine times.